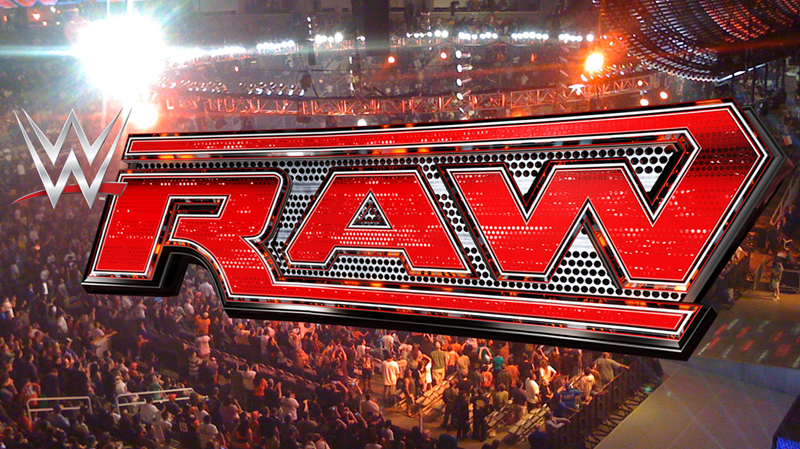 RAW took place at the US Bank Arena in Cincinnati, Ohio. Here’s all the action that went down. RAW kicked off with a match right away, as Roman Reigns met Rusev for a contractual rematch with the United States Championship on the line. Rusev took the opening momentum, grounding Reigns and working his lower back. The tactic paid off, as any comeback from Reigns resulted in the big man being too weak to pull off big suplexes and slams. Both men would eventually take their feud outside the ring, brawling until the ref counted both of them out. Not exactly giving a damn at this point, Rusev nailed Reigns with a chair shot and threw him back into the ring, but he walked straight into a Spear. Teasing the audience a little, Reigns ended the encounter with a steel chair to Rusev as the first match of RAW came to an end. The best of seven series between Sheamus and Cesaro came to an end at Clash of Champions, with neither man winning. Or losing! On RAW, Mick Foley had an idea for the two: They’d be competing for tag team gold, working with each other instead of against one another. Both men weren’t exactly keen, as The New Day prepared to defend their titles once again against Gallows and Anderson. Kofi Kingston and Big E were on duty for this rematch, as they kicked off the feud by taking Gallows and Anderson to school. The Club would soon bounce back however as Gallows knocked out both Big E and Kofi at ringside with big boots, rolling Kingston back into the ring for a near-fall. The match wore on, with hot tags stealing momentum aplenty and the Club looking dangerously close when Big E fell victim to a Magic Killer. But The New Day would away with their titles once again, as Kofi followed up a tornado DDT from the top rope on Anderson with Trouble in Paradise. Despite some severe bleeding, Kofi got the pin and the New Day went off to celebrate. Huganomics doctor Bayley made short work of the feisty Anna Fields, squashing her opponent with a belly to belly suplex. I’m as confused as you guys are, as the tag teams put on a very evenly matched bout on RAW. Victory went to Swann and Alexander, as Swann landed a kick to the face of Gulak and rolled him up for a pin. Kicking off their very first team-up on RAW, Cesaro and Sheamus weren’t exactly a functioning team even when facing a pair of jobbers. Barely communicating and not even bothering to tag each other in, Cesaro fought his way out of being double-teamed after Sheamus finally saved him from some offense and pinned the local talent for the win. The RAW cruiserweight division featured its new champ in action last night, as TJ Perkins faced off against Tony Nese. Superkicks! Suicide Dives! Hurricanranas! Yep, this match had plenty of offense, but Perkins rebounded with a Pele kick and a Knee Bar on Nese to pick up the win. Featuring bestest pal Kevin Owens! Jericho spent the segment trash-talking Seth Rollins and laying praise on Owens for legit injuring he ribs of the Architect. Owens waxed lyrical about how he truly was the main man of RAW and had proven himself to be the most dangerous man around. Rollins of course decided to interrupt after threatening to do so earlier, but RAW security was waiting for him. While the security may have been ready for Rollins however, they certainly weren’t expecting the realest guys in the room to show up as Enzo Amore and Big Cass came out to interrupt the Highlight Reel. Throwing a few insults towards Owens, Jericho added Enzo and Cass to his list, but he was especially livid when he was informed that he’d be teaming up with Owens to face Enzo and Cass in a tag team match. Which was up next. Enzo and Cass were on fire in the opening of the RAW main event, tossing Owens and Jericho out of the ring. The two heels weren’t taking this offense lightly however, as Jericho and Owens worked over Enzo. Bouncing back, Enzo landed a top-rope corss body splash on Jericho and almost got the three-count. On the match went, as the heels grounded the team of Enzo and Cass, landing superkicks and splashes on the two. Owens would finish the match off with a combo clothesline and powerbomb on Enzo, pinning the realest guy in the ring for the full three-count and ending RAW for the night.